Zendor was shown in the Lakeshore Light on doing 3 elementary shows! Our local school system publishes a quarterly newsletter called Lakeshore Light. It generally tells what have been happening at each of the schools (Elementary, Jr, High and High) and any other important information. Well, unknown to me, in the Winter Lakeshore Light, the event I put on at each of the elementary schools in late September was talked about and 2 pictures shown (see combine picture below)! I am thankful for the opportunity to perform for all 3 elementary schools that day, thankful for great guidance, input, and help from Val Carr and Cami Ashley Cami and special thanks for to the Lakeshore Excellence Foundation (LEF) for sponsoring this wonderful event! Because you asked for it we made it happen! 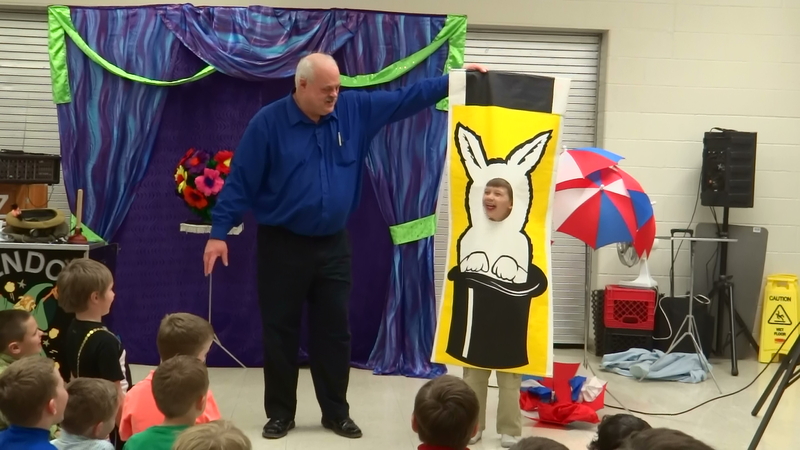 I will be at the Lincoln Township Public Library Wednesday 2/22/17 at 5:30 PM to perform a FANTASTIC magic show! All ages are invited. And it is FREE!! You will see some totally crazy and amazing magic! I will need plenty of volunteers and there are some special surprises that you don’t want to miss. There is limited seating. I believe you have to sign up ahead of time. So don’t miss this FREE public show and see Zendor LIVE! Call the Lincoln Township Public Library (2099 W John Beers Rd, Stevensville, MI 49127) at (269) 429-9575 to reserve your seating. A special thanks to the Christmas in the Village committee (Stevensville Michigan) for having me perform close up magic for those in line for the sleigh ride. What a great festive event where everyone had a smile on their face! I got to meet many new people and found many young magicians among them! Hope to see you again soon! Stevensville Community Fun Day 9/10/16 . See Zendor from 1:30 to 3:30 PM. Stevensville is once again holding their very enjoyable Community Fun Day, September 10th, 2016. I do have the privilege to be performing close up magic again this year at this fantastic and fun event. I will be near the Balloon Twister from 1:30 PM to 3:30 PM. Please stop by and see the amazing magic of Zendor! It is wonderful that this event occurs in our community! Special thanks to those that spend the time making this happen and going do smoothly. 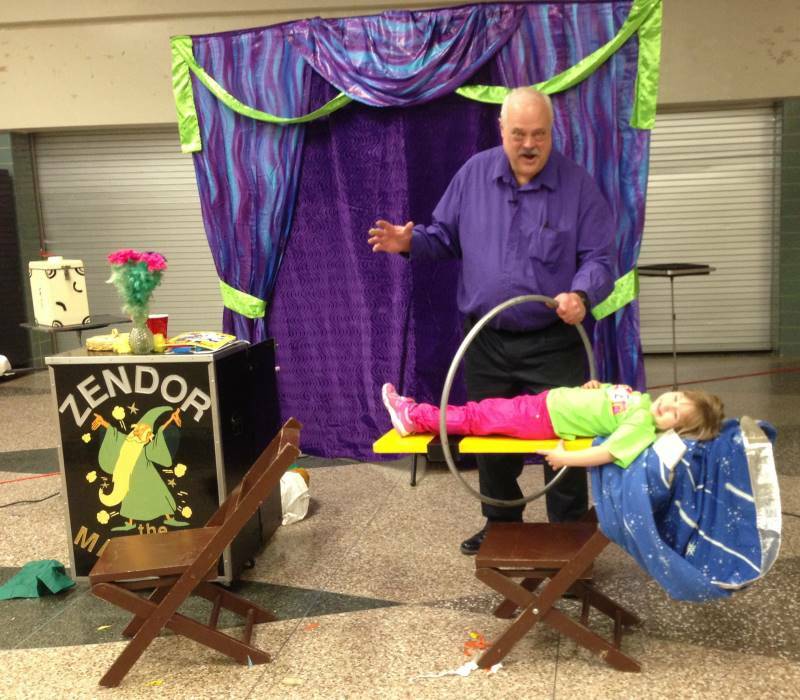 ANNOUNCEMENT – Super Funnyman Magician Zendor will appearing at the Berrien County Youth Fair for 2 shows Wednesday 8/17/16 and it is FREE! 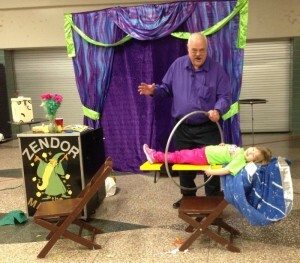 You don’t want to miss the wacky comedy magic of Zendor as he proceeds to amaze and fill you with laughter! There is much audience participation and maybe some of you can actually do the magic for all of us!! Come join the excitement of this Wonderful New Buffalo Ship and Shore Festival Aug 12 – 14th. I will be performing 4 times with 2 different shows on Saturday 8/13/16.